Just about three months have passed since the General Convention of the Episcopal Church adjourned in mid-July. I have asked youth who participated in the General Convention Episcopal Youth Presence (GCOYP) to reflect on their experiences, what it meant and how it continues to have an effect on their lives. This first reflection is by Ariana Gonzalez-Bonillas, Province 8 participant from the Diocese of Arizona. 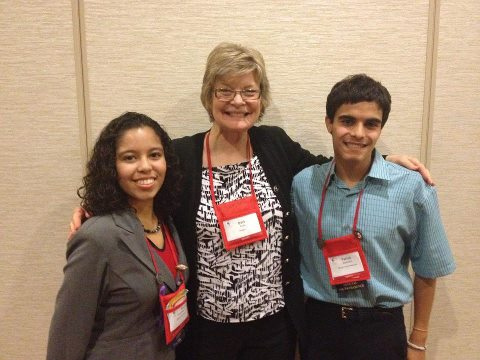 Day after day after day I think about my time at the 77th General Convention of the Episcopal Church as part of the General Convention Official Youth Presence of 2012. No vote, all voice, and a loud one too, both figuratively and literally. All other 17 voices of my fellow GCOYP 2012 have made an impression not only on the 77th General Convention, but on my life as well. In April, when all the GCOYP met each other for the first time, I knew that I was going to learn something about the Episcopal Church and all these young adults I was going to be stuck with for ten straight days in July, I just underestimated what a lasting impression they would leave. At the end of those three days in April, they were already stuck on my heart. (We’re all at that awkward stage where we are teenagers, half-adults, half-children, half-serious, half-play, and its only fun to be awkward together.) We made our own decisions, but we also followed each other around like ducklings from time to time, just for the fun of it. In times of seriousness at legislative sessions or hearings, we tried to support each other as much as we could. At a committee hearing for C040, a resolution about Open Table, at 7:30 in the morning, 7:00 for those of us that wanted to speak, some of the GCOYP came just to support the speakers. For those of us speaking, three of us were for open table and one of us against it, and yet we were all nervous to speak in front of a full room and committee. We respected each other’s opinions and listened to each other’s reasons and that is the kind of respect I wished I saw every day. We even congratulated each other on speaking and delivering our message well. Another way I say support was for me personally with my Dream Act resolution, D067. The adults, our friends and temporary parents that are still young at heart, read my resolution to make sure I got my point across. The deputies that helped turn in my resolution helped make my idea into a reality. Of the GCOYP, there were two speakers at the first hearing for D067, and more than two supporters for each of us. I am so grateful to those that got up super early just to sit there and watch Nora and I to speak at 7:30 for a resolution that did not even have to matter to them. Also, the ones that did speak at the second hearing for the resolution and had stories to tell are amazing in my eyes. Being a part of the GCOYP was amazing, not just because of the friendships I made and hope to keep strong, but because of the support I could see from those friendships and from the entire Episcopal Church. It gives me hope, not as the future of Church, but as the Episcopal Church. My sons have always known a family dinner to be prefaced with the praying of Grace. We are Episcopalians and we do pray at home with predictable regularity. Reading, telling stories, and concluding with bedtime prayers was the ritual that marked the end of the day when my sons were young. When my oldest son was experiencing a particularly difficult week as an eighth grader, I discovered him reluctant to share his bedtime prayers. He gently explained that perhaps he was now too old to say children’s prayers with his parents. I suggested that he could say his prayers by himself from now on. He thought about it a minute and then confessed that he didn’t know how. I reminded him of the things we had talked about in youth group, about praying and meditating and reading the Bible. He interrupted me and asked if I knew where his prayer book was, the one from his great grandmother with his name engraved on the cover in gold script. I fetched it for him and asked him if he knew where to find the prayers he might need. “No, it’s too long and the print is too small. But that’s okay. I’ll sleep on it,” he confidently replied as he placed his Book of Common Prayer under his pillow and closed his eyes to await sleep. Call on Me is just the resource that I needed to help my son as a parent, to strengthen the teaching in our youth room at church, and to provide as a resource for youth and their families at home. This creative compilation offers simple and insightful instruction about prayer. It offers a wealth of diverse prayers on all manner of topics from prayers for the days of the week, to seasons of the year. You can find prayers to celebrate personal achievements and to address obstacles to grace and faith. Some prayers are ancient, traditional, and poetic language while others are formed with fresher words of the current time; very straightforward and tangible. 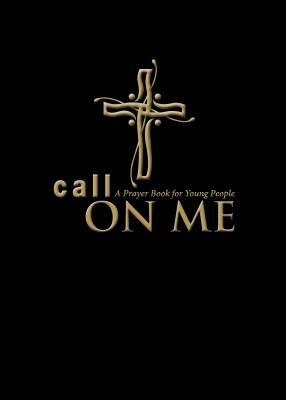 Call on Me is a perfect companion to The Book of Common Prayer for young people learning about their Baptismal vows as they discern their readiness to offer themselves for the sacrament of Confirmation. The Prayer for the Death of a Pet would have saved our family from many a lengthy and painful back yard liturgy in which my youngest struggled through the Rite I Burial language, perched atop a milk crate, trowel in hand, to bury an expired fish, or hamster, or newt. I offer deep gratitude to Sharon and Jenifer who were motivated to create such a useful resource through their own faithfulness in prayer and compassion for young people. Call on Me will help equip our rising generations with a new tool to develop an active prayer life. This resource will be welcomed by young people as they practice praying for themselves and for others. I know that it won’t be long before these prayers are offered as caritas for Happening weekends, as solace to friends who are grieving, and in digital form as messages of comfort, encouragement, and celebration. May these prayers be our prayers as we strive to teach and nurture young Christians to be healers and advocates in a hungry and hurting world. Official Youth Presence 2009 was special to me. Which is very hard to say because I’ve pointed to the experiences I had while at General Convention to some of the lowest times in my faith. My advice for those of you who will make up Official Youth Presence 2012 is simple. I challenge you all to live in the moment, to block out politics, culture, and other distractions and just experience. You will be overwhelmed. You will be close to tears at times. And I can promise you that at some point you will disagree with someone in the group. Try and remember at the end of the day that the hymns you sing every sunday, the scripture you read every three years (the A,B, and C never-ending cycle) and the lord you worship are all the same. At times I forgot that truth, and my advise is to make that not only be your truth, but your definition while at General Convention. I hope you will try to meet the many wonderful bishops, priests, and laity that are at GC. You will be in my prayers. Remember that your voice is powerful and many have fought for you to have that voice at General Convention. I will finish my comments with a phrase we use often in South Carolina. “One Body, One Mission, Changing Lives.” I challenge you to find what that means to you at General Convention. I applied to GCOYP because I wanted to and believed that I could help this church become better than it already is. I wanted to get an inside look into the other side of the church that is vastly different from going to your home parish on Sundays. Most importantly I wanted to represent the youth of the church, and make it known that the youth are vital to our church’s growth and success. The most rewarding moment had to be delivering a speech to the House of Bishops about evangelism and the importance of youth. It was an incredible feeling to have the Bishops of the Episcopal Church genuinely listening and thinking about the concerns of the youth. Hopefully we were able to influence them to act on what we shared with them. There were two things that I found to be the most frustrating at the convention. The first was experiencing the “politics” of the church and realizing that this wasn’t just a feel good reunion of brothers and sisters in Christ, but also a place of business where people felt passionately on issues,and feelings were sometimes hurt. The second was realizing that some of my views on a particular resolution were very different than those of the majority of the other youth representatives and apparently the rest of the deputies at the convention. When this resolution was passed I was very concerned about the church, the deputies in the minority of the vote, and how this would affect my parish back home. Through the worry I prayed and talked with some of the great adult leaders of the GCOYP. Through this process I remembered that God was in control and although like in life, when I do not understand why something is happening, it was still in Gods hands and is exactly being done how it should be. This is ultimately God’s church and not mine. I felt God’s presence through the honor of being able to serve in a new way and even with all of our differences when it came to the politics of the church. At the end of the day we still all came together and were able to laugh, play, and worship with one another. GCYOP’09 changed my life by showing me how easy it is to make a difference in the church. It helped me to realize that I and any other youth have the ability to initiate change, and have a voice in the church we love and value so much. It was an honor to serve God in this way, and the entire experience has motivated me to continue serving and making our church better and better. You can read about the Official Youth Presence at General Convention 2009 and all of their speeches by clicking here.